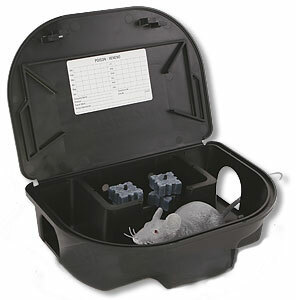 Which liquid rodent bait dispenser works with (EZKLEAN) bait station? I am going to purchase for my neighborhood. We will use Final Blox to start the summer, then may switch to liquid dispensing mid-summer. Which liquid bait dispenser works with EzKlean bait station? Unfortunately, there are no liquid dispensers made for the EZ Klean Rodent Station. It is designed for block or pelleted bait only.